Genetics is the science of the acquisition and transmission of physical body traits, and has as its basis the fields of physics, chemistry, biology, and neuroscience. Doyletics is the science of the acquisition and transmission of physical body states, which has as its basis the same fields, especially neuroscience, which led me to study this new book by Rowland W. Folensbee. The advances in neuroscience should sustain the insights, theory, and predictions of doyletics, if doyletics is to have any credibility as a science, and if not, one can throw doyletics into the trash-bin of history with other pseudo-sciences which flourished for a time and faded away. Folensbee is interested in how the insights of new advances in neuroscience could help us to understand and improve psychological therapies. [page 1] Knowledge of brain structure and function has developed rapidly in recent decades; accompanying this increase in knowledge has been the rapid development of our understanding of how brain function relates to human behavior. The roles of specific areas of the brain in specific types of cognitive and emotional processes have been delineated and the complex patterns of interaction between specific areas of the nervous system required for thought and behavior have been increasingly well identified. Processes at the molecular and cellular levels and their relationships to memory, cognition, and affect have been described with increasing clarity. The biological underpinnings of specific psychiatric and neurological disorders have been outlined, and these findings have directly led to improvements in medical, psychological, and behavioral interventions for the various disorders. The science of doyletics has therapeutic applications, but the science of doyletics provides insights to areas of human health and well-being which have never been considered part of any psychological therapy, providing insights into periodic illnesses, periodic muscular discomfort, as well as specific diseases such as rashes, sea-sickness, and shingles, among other things. The areas to which the field of doyletics can provide help are expanding every year, the most recent being the understanding of the etiology of Post-Traumatic-Stress Disorder (PTSD) and how to provide relief for its sufferers. For over fifteen years, I have been developing the science of doyletics which is devoted to providing a simple self-help memory technique to provide oneself relief from onerous and unwanted physical body states, as well as providing the underlying scientific basis of all psychological therapies. The title of this book claimed to explain the neuroscience of psychological therapies, and if it did so, it would provide evidence for the groundwork I laid with the science of doyletics, the science of the acquisition and transmission of physical body states, or doyles. Folensbee's book does exactly that, albeit using other technical terms to do so, but if one aligns the terms, one finds that this book supports the theory of doyletics over the decades. The science of doyletics would not have been possible without the splendid insights and hard work of Doyle Philip Henderson some forty years earlier. The first insight he came upon after a lifetime holding the unanswered question, "What are emotions?" His answer was that "Emotions are recapitulations in adulthood of early childhood events." 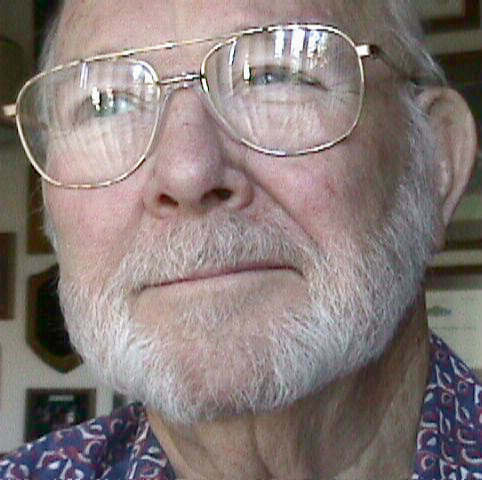 Doyle was a pioneer in digital electronics design for Berkeley Instruments, and his instrument-design expertise led him to see that feelings, the physical body states which arise in the present, must have been stored in early childhood and triggered by the present situation. From his initial insight he began a life-long study of how to help people remove unwanted bodily states (feelings, emotions). His first methods were long and tedious, requiring a session director to place clients into a state of progressive relaxation and direct them backwards in time to the original event during which the unwanted bodily state was stored. In these often hours-long sessions, Doyle would have the person go down in stages to before the original event and then in stages after the original event, each time noting the presence of affect as the original event was evoked. Sometimes the reactions of the client were violent, a man kicking a hole in the wall, a woman vomiting in Doyle's mouth as he kissed her to evoke the unwanted bodily state. Each time he cycled around the original event, he would have them re-relax and eventually the reactions tapered off until they disappeared entirely. Over twenty years of doing this work, Doyle noticed that if a person were taken back below five years old, the unwanted feelings never returned, but if during the session the person was only taken back to 6, 7, 8, 10 or 15 years old, the unwanted feelings would return. He noted experientially that there was a dramatic difference which occurred at the time of five-years-old, a boundary of a sort. In the theory of doyletics we postulate that the human brain has a way of storing physical body states in the root brain, an ability which precedes by aeons the higher level of cortical memory which we have currently. These physical body states we call, after the innovator, doyles, and say that they are stored in doylic memory(1). Whenever some portion of an event's doylic memory occurs in the present, the full doylic memory of an event enters in the human's body, bringing with it a complex of bodily states, some of which we will be conscious of because we can feel them, others of which we may not be aware of because they involve internal changes in the homeostasis of our bodily organs and muscles. Whether we are aware of these changes or not, if we are conscious of the any of the effects, we have the option to extirpate the unwanted bodily states by a Speed Trace. The Speed Trace is a simple memory technique which is easily learned and can be utilized whenever an unwanted bodily state occurs. What does a Speed Trace do? Simply this: it converts the doylic memory into a cognitive memory, quickly and easily. We call it cognitive memory to contrast it from the doylic memory which is non-cognitive, residing as it does in the root brain, while cognitive memory resides in the cortical region of the brain after being passed through the hippocampus. One may say that a Speed Trace extirpates unwanted bodily states because after a successful Speed Trace the bodily states will not recur when submitted to the same stimuli. For example, seasickness, once a Speed Trace is done, will not return. One can say that the Speed Trace converts an unconscious bodily state into a conscious memory of the original event which stored the bodily state. One often gets a glimpse of the original event immediately when a Speed Trace is done, a dim vision of the event or perhaps a question arises in one's brain which offers a clue to the original event. Whether the conscious memory comes or not, the bodily states will disappear. The occasional recovery of conscious memory of an original event provides useful confirmation to otherwise skeptical users of the Speed Trace. In his Introduction Folensbee claims that in his experience, the range of technical details of connecting brain and behavior is too vast to be grasped by clinicians. In my experience, these same details can be explained to laypersons quickly and simply by using the terms and concepts of doyletics. [page 1] The host of advances in the understanding of connections between the brain and behavior can support psychotherapeutic conceptualization and intervention (e.g. Cozolino, 2002; Pliszka, 2003). However, it is the author's experience that the vastness of the relevant literature combined with the complexity of the relationships between brain function and behavior, affect, and cognition serve to preclude the use of such understanding by many practicing clinicians. The terms alone are frightening: dorsolateral prefrontal cortex, superior temporal gyrus, ventricular epithelium. The steps and interactions in the brain comprising so basic a task as focusing attention (Posner & Raichle, 1994) can leave a clinician feeling hopeless in regard to ever understanding enough about the brain to apply such information to clinical intervention. During discussions with fellow clinicians, a moment of early interest seen in a colleague's eye quickly glazes over, turning into blank dullness reflecting a brain that has escaped from a task that seems impossible and therefore irrelevant. 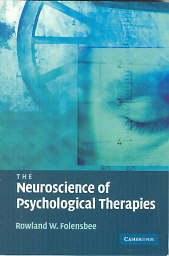 Folensbee would be surprised how easily the average layperson is able to use the Speed Trace unassisted to achieve permanent relief, without even understanding the scientific basis of doyletics, much the complex menagerie of terms Folensbee uses in the above passage and in his book to describe the neuroscience of psychotherapy. [page 1, 2] This book has emerged from the author's experiences as a clinician struggling to grasp the implications of "the brain" for psychotherapy intervention. . . . Neuroscience has become one of the primary tools in the author's clinical armamentarium. Any clinician who wishes to understand "the brain" can do so in minutes by studying the theory of doyletics which explains the how original events are stored as doylic memories, and learning to use doyletics' Smart Bomb, the Speed Trace, which converts doylic memories into cognitive memories (implicit memories into explicit memories). The Speed Trace provides an individual (and any clinician) with a quick and easy method of removing their own (or a client's) unwanted bodily states without having to ever understand the complexities of neuroscience nor explain them to their client. Interested clinicians can spend years studying the complexities of neuroscience at great time and expense, or spend minutes learning the Speed Trace at little time and no expense. One of the phenomena discovered by doyletics was that of cascading doyles, in which one doylic memory triggers another doylic memory and a continuing sequence occurs like in an avalanche(2). Cascading doylic memories were described back in 2000, and Folensbee describes how neural networks (such as one containing a doylic memory) can cascade into each other: (Page 19) "Shared neurons lead one network to trigger another." Another phenomenon of doyletics stemmed from persistent concerns that users of the Speed Trace have voiced over the decades, "Can one trace away a good doyle?" They wanted to know if one were doing a trace while feeling good, would the good feeling doyle also go away. From long experience with tracing, my own and many others who have written me, not once has anyone reported tracing away a good doyle. My understanding of this situation is this: bad doyles can be stored by one event, but good doyles are constantly reinforced by hundreds or thousand of events, so it follows that good doyles would be more robust than bad doyles and not susceptible to being traced away. Folensbee puts it this way, using neuroscience to explain what doyletics has found to be true experientially. (Page 19) Through repeated experience, synapses that connect various neurons in the network are altered to fire more readily, thereby tying together the pieces of the network. It also appears that connections between neurons of a frequently triggered network are strengthened through the development of an increasing number of synapses connecting each neuron to the others. A doylic memory can be triggered by the slightest sensory input initially and as additional inputs arrive, the doylic memories can home in on a particular good feeling state, e. g., a smell of leaves and a view of a Fall sunset at age 3 years old, might lead to one cherishing a memory of one's girl friend on a similar day while in college, and even decades later that doylic sequence could bring up that vivid memory. [page 19, 20] For example, input consisting of the smell of autumn leaves combined with the golden glow of the sun at a certain angle can trigger a complete neural network that supports a 30-year-old memory of a college football game shared with a girlfriend wearing a unique brown woven vest. When events happen to us before five years old, they are most often stored as doylic memories (implicit memories) in the amygdala because the pathway through the hippocampus to the cortical region is not fully operational. The amygdala acts as subcortical storage and any events stored there will continue to feed up doylic memories for the rest of one's lifetime, unless removed by some tracing process. Joseph LeDoux did his major work in this area and reported it in his classic book, The Emotional Brain, upon which much of the theory of doyletics was based. [page 21] Neural networks are likely to be connected by way of multiple pathways. Some pathways are likely to include areas of the cortex that are available to conscious processes, while other pathways are likely to be through subcortical tracts that offer little likelihood of being consciously identified. LeDoux (1996) conducted research with rats that helped identify a subcortical neural pathway between auditory receptor cells and the amygdala, which houses a primary center in the brain for processing fear. It was originally believed that auditory input must pass from auditory receptors through the auditory processing center in the cortex and then to the amygdala in order for fear learning to be established. LeDoux first trained rats to expect electrical shock whenever a bell sounded. Later, all connections between auditory receptor neurons and the cortex were cut. Experimental rats continued to respond to a bell with signs of fear after the connections were cut. It was discovered that this response remained due to the activity of a previously unidentified subcortical pathway. If a human subject experienced the same removal of cortical connections after developing a classically conditioned association between sound and shock, the subject would continue to demonstrate fear when the bell sounded; however, the human subject would report being baffled regarding why the fear was occurring. Such a fear response to sound might then remain unexplained no matter how many years of psychoanalysis the subject subsequently obtained. In a human being who was classically conditioned to a fear response before her cortical connections were completely functional, i. e., before five years old, that fear response would continue to plague her into adulthood. The sound of a man whistling in the dark to cover his abusing of a four-year-old girl would continue to send the girl, even though grown up into a 60-year-old woman, into a spasm of terror(3). In LeDoux's work, once he disconnected the amygdala surgically from his rats, the fear response completely disappeared. Of course, all fear responses disappeared and that would not be useful for helping human beings. A memory technique which selectively removes the fear response by moving the doylic memory from the amygdala into the cortical region would be very useful, because the implicit memory would be converted into an explicit or conscious memory. That is what various psychotherapies do, but often requiring years of psychoanalysis, etc. The Speed Trace provides a simple memory technique which can extirpate such memories in minutes and does so permanently. Neuroscience helps us to understand the flashback phenomena associated with PTSD, Post Traumatic Stress Disorder. [page 23] During a flashback the visual system is activated as part of the traumatic memory and, as a result, the visual system is not available for use in reception of new visual input. Neural networks associated with the memory of a traumatic event include a high level of emotional intensity derived from emotion centers in the amygdala (LeDoux, 1996; McGaugh, 2004). This intensity gives "power" to the flashback, and this power effectively prevents frontal lobe executive centers from intentionally using the visual system to process current input. As a result, a client may experience a temporary inability to see the external environment even though frontal, decision-making areas of the brain are attempting to override the control over visual processing exerted by the powerful flashback. If a client understands the reason he cannot see the therapist while experiencing the flashback, the likelihood that the client will view himself as "crazy" will be lower. The above analysis seems to neglect that a flashback is a flash, not a continued image, so if one is unable to see one's surroundings for a period longer than an instantaneous flash, it must be due to the effect of the emotional intensity which prevents one from recording a continuous visual image during the event, allowing only an occasional flashback to be stored. This seems consistent with the revelation that a flooding of glucocorticoids during trauma disables the hippocampus temporarily, thereby preventing conscious recollection of events during the intense extent of the trauma(4). But notice that visual recording by the cortical region is not possible during the original event, something not mentioned in the passage above, something which prevents conscious recall, making the event into an implicit memory instead of an explicit one. Implicit memory we have postulated is identical to doylic memory, and we know from experience that a Speed Trace can convert doylic memory into regular memory, meaning that it can therefore convert implicit memory into explicit memory and allow recording of the visual portions of the original event by the cortical region of the brain, absent the flooding of glucocorticoids into the hippocampus which prevented the recording and conscious recollection during the original traumatic event(5). [Page 29] Memory can be defined as the process whereby "knowledge is encoded, stored, and later retrieved" (Kandel et ai., 2000a, p. 1245). On its surface, such a definition hints the brain is a static recording device waiting to take in and store the input offered to it. This is not the case. Instead, the brain interacts with the environment, including the external world and the person's own body, in multiple dynamic ways and changes form in response to these interactions. The form the brain takes subsequently influences its interactions with the environment in the future. Stated another way, "Memory is thus the way the brain is affected by experience and then subsequently alters its future responses" (Siegel, 1999, p. 24). Psychotherapy can be viewed as a process of recognizing how the brain has been shaped by its past and then applying this recognition to develop better ways to use the brain in future interactions with the world. In the first paragraph of his Chapter "Memory and Learning" above, Folensbee summarizes how memories shape the brain and the importance of finding better ways for the brain to interact with the world. My own summary sentence would be written about the Speed Trace, because that is exactly what it does: provides the brain a better way to interact with the world after some traumatic event has prevented the conscious portion of the brain from storing and dealing directly with an event, whether an unpleasant event or an illness before five years old, or an intense traumatic event at any age thereafter. The science of doyletics has explained how the myriad of psychotherapies work and can replace them by a simple memory procedure that anyone can do for themselves. In addition doyletics postulates that the amygdala functioned as the original storage area of the brain before the evolution of the cortex, providing primitive Man with the ability to have limited memories and a full-range of emotions until such time the cortex arrived to provide a full-range of conscious memories(6). Those of you who lived through the evolution of personal computers will recall the days of the floppy disk, the clunky, slow, and low-storage devices which constituted the only method of storage on the first PC's. With the advent of hard disk drives, the old floppy disks were copied to the hard drives, and only called out if the hard drive failed, as an ultimate backup system. It seems that our amygdala acts as such a backup system for our cortical region. Until our cortical region is fully operational at five years old, all memories and emotions (bodily states) are stored in the clunky amygdala, but after five years old, all memories are stored in the cortical regions so long as the hippocampus is able to provide the connection. If, as in intense trauma, the hippocampus is flooded with glucocorticoids and unable to pass memories to the cortical region of the brain, the amygdala steps in and goes into its original mode of operation under five years old and begins recording the memory and emotions, storing new emotions never before experienced. There is a problem with the following sentence on page 31, "When two neurons (A and B) both enervate a third neuron (C), the process of long term potentiation can in effect form a bond between them even though they are not directly connected." The verb enervate does not mean to energize or activate, but means exactly the opposite; it means weaken or destroy the vitality of. Enervate is the wrong word to use in that sentence, so far as I can tell — both from the context within the sentence and the context in the paragraph surrounding the sentence, an error which can only be attributed to the author and to the copy editor. No computerized grammar or style checkers can catch an inversion of meaning. This next passage is very useful because it shows that the neuro-chemicals which disable the hippocampus’s ability to create cognitive (explicit) memories are the same neuro-chemicals which turn on the amygdala’s ability to store doylic (implicit) memories. Simply put, when stress causes the hippocampal function to cease passing cognitive memories to the cortical regions, it causes the amygdala to begin storing doylic memories, thus revealing the backup mechanism we discussed earlier. [page 37] Research indicates that development of associations between events and emotions is an example of non-hippocampal learning based on simple pairing, even in the absence of awareness and insight. LeDoux (1996) described the process whereby in the presence of severe trauma, the hippocampal system ceases to function effectively, that is, aware learning and memory is disrupted. However, he indicated that memories associating fear with incoming sensory information are made even stronger by the same neuro-chemical events that disrupt hippocampal functioning. The result is that a subject can learn to be afraid of something without being consciously aware of the experience that is being learned. There is the control mechanism I had been seeking which allowed the brain to move to its backup "floppy disk" when the primary "hard disk" was deactivated! The same neurotransmitters(7) which deactivate the hippocampus (hard disk) activates the amygdala (floppy disk). The effect is to ensure that some record is made of every event, even events that are so intense and traumatic that the cortical region will never receive notice of them due to the temporary non-functioning of its gatekeeper, the hippocampus. The gatekeeper does this by shutting down conscious memory and opening up doylic memory. When the newest type of brain storage, cognitive or conscious memory, is not available, the older type of brain storage, doylic or implicit memory, is made available. After the traumatic event is over, the hippocampus begins to work normally again, and the doylic or implicit memory begins to bleed through to consciousness in brief glimpses we call flashbacks. These flashbacks indicate the need for converting the intense terror (doylic memory) into cognitive memory, something a Speed Trace can accomplish. How does the Speed Trace accomplish this? By holding the mild doyles (which will later cascade into intense terror) while counting down one's ages from the present age, eventually one will go past the age at which the intense terror occurred, but this time the hippocampus will be working normally, and it will send up to the cortical regions the cognitive memory which it had been unable to send during the traumatic event's time of intense terror. Folensbee calls doylic memory and cognitive memory "two forms of learning", something I think is unnecessary, but I share it so that the next passage will make sense to the Reader. [page 39] The lack of synchrony between these two forms of learning can be very distressing for clients who believe that continuing to have maladaptive emotional reactions despite the presence of insight to the contrary is evidence of the severity and permanence of their pathology. The lack of synchrony leaves clients feeling very out of control of themselves in a basic way that threatens self-esteem and positive identity. This lack of synchrony, when seen from the perspective of doyletics, indicates the need for a Speed Trace. When one performs a successful trace, one holds the unwanted "emotional learning", i.e., doylic memory, while counting down one's age from the present until one goes below the age of five, called in doyletics, the Memory Transition Age. Somewhere below that age, one will be unable to hold onto the unwanted implicit memory because it will have been converted into an explicit memory. At that point, if the tracer asks, "What's a plausible thing that could have happened to me at that age?" often a dim vision or some auditory information, perhaps as a question, will happen. In various ways, different for every trace, a hint as to what happened will be revealed to the tracer. What was implicit will be made explicit. What was a doylic memory will be made a cognitive memory. The lack of synchrony will disappear, and the person will be in balance again, possessing new information about past events and no longer beset by the onerous doylic memory. When one is empowered by having the Speed Trace available, one welcomes the very signal that one previously called "being out of control" because one has a way to remove the signal, the feeling, the emotion, the acting out, etc, by a Speed Trace, and as such one never feels out of control. Contrast that with the reactions to the same situation to a person who has never heard of the Speed Trace. [page 42] To the conscious brain using declarative or narrative processing, it is difficult to explain how the brain arrived at the subsequent impulse. Too often, the impulse expressed in the emotion may run counter to the declarative, logical decision a person may make. As a result, emotions are experienced as out of control. The Memory Transition Age of five years old was arrived at through many years of tracing. This is the age one can be sure that, if one went below it during a Speed Trace, one would be able to permanently erase a doyle, that is, convert it into a cognitive memory. From numerous reports, many people have conscious memories which go back before five years old, so the hippocampus gateway is working part-time as early as three years old(8). When any system comes on line, often parts of it work before other parts and the system itself operates in some cases and not other cases. The memory system of which the hippocampus is a part operates that way, and this results in some cognitive memories being stored before five years old. In the passage below, the concept of infantile amnesia, first postulated by Freud, is a misnomer because even infantile brains have permanent storage of implicit (doylic) memories. The infantile amnesia concept has been useful because over the years since Freud posited its existence, it has provided data about the onset of explicit (cognitive) memories. The phrase long-term memory is also a misnomer as it can be applied both to explicit hippocampal memory and also to implicit (doylic) memories. Doylic memories can be stored for a lifetime, if not traced away. Given those stipulations, note how neuroscience sustains the doyletics postulation of a Memory Transition Age (before which no cognitive memories are saved), but neuroscience moves it a year or two lower, in ignorance of the MTA’s efficacy in a Speed Trace. [page 43, 44] The concept of infantile amnesia discussed in Chapter 4 is particularly relevant to understanding early affect-laden memories. Long-term memory storage that includes hippocampal memory systems does not come "on line" until around the age of 3 or 4 years old because the neural substrates required for such memory have not yet developed (Squire et al., 1993). A child's memories of emotional experiences during the first 3 or 4 years of life are therefore implicit memories, and it is unlike an adult can have direct, conscious awareness of these events. Applying LeDoux's reasoning regarding early memories in general (1996), it seems likely that conscious awareness of early sensory memories and connected affect stored during these early years may sometime be established as a newly constructed "memory of the memory". As with other early memories, it seems likely that early emotional memories will not be the same as memories of initial experiences stored using hippocampal systems later in life. Over decades, we have recommended to newcomers to doyletics that they begin their first Speed Trace using a food dislike. Why? It is easy to trigger, it is easy to hold the doylic affect in place during the trace, and it is easy to confirm after the trace that it was successful. Unfortunately we have also found that most people have lost childhood food dislikes by the age to 40 to 50. I recall a food dislike that I had for macaroni and cheese, I would go to bed hungry if that was all that was served for supper, as it sometimes was. As I went away to college, I avoided macaroni and cheese easily, but noticed that there were some cheeses that I liked, and some macaroni that was tasty, so I wondered why the combination would seem so distasteful to me, so about age 26 or so, I would eat a bit of macaroni and cheese at pot luck dinners and found I no longer had a dislike for it. After working in doyletics theory and research for several years, I began to wonder about how that dislike went away "by itself" — meaning without my doing a Speed Trace on it. I remembered spending time thinking back to times when I had macaroni and cheese placed in front of me, but nothing came to me, so far as I knew. After becoming aware of how common the loss of food dislikes is with advancing age, the thought came to me: Perhaps other people also figured out how to do this process on their own. Perhaps they did traces down their ages, somehow getting back below the Memory Transition Age while thinking of the distasteful food and managed a successful conversion of the distaste reaction (the implicit memory) into an explicit memory, and thenceforth could eat the disliked food, as I could with macaroni and cheese. These traces could be called unconscious Speed Traces, as they were done without being conscious of the procedure but achieving a successful trace anyway. Psychoanalysis does a similar thing as it winds back into client's lives and after many sessions clients declare themselves cured because they have finally recalled what happened to them — this is a true statement, but the cause and effect is reversed: they cured themselves via an unconscious Speed Trace and immediately afterwards were able to recall what had happened to them. The recall came from the process of converting an implicit memory into an explicit or declarative memory, a doylic memory into just a memory. Once no longer an implicit memory, the hangup, the unwanted feelings, disappeared, and instantly they were able to remember what had happened. [page 44] The amygdala and emotional processing seem likely to serve a central role in the unfolding activation of neural networks. Within the context of psychotherapy, it therefore seems likely that attending to and influencing emotional activity can support understanding of a client's history while also facilitating positive change. The lesson from this book is that neuroscience is discovering how early life experiences are stored in the amygdala and are fed back to the human being as they grow into adulthood. Unfortunately the focus of the author is on the narrow field of psychotherapy while a vast area of implications of these new findings in neuroscience await to be discovered and investigated that fall outside the purview of psychotherapy. For example, Doyle Henderson mentioned to me over fifteen years ago that what doctors today called illness or disease are usually what would be better labeled healing states. Some bacteria or virus or poison enters the body and the body immediately activates healing states to combat the foreign agent. Chicken pox virus, for example, enters a young boy of 4 years old and immediately he breaks out in spots all over his face and body.The disease is the virus, not the spots — however, when we say he has “chicken pox” we think of the spots which are actually the body’s way of healing itself, those healing states. There is another deduction one could make about a boy who had chicken pox above the Memory Transition Age (5): he would never have shingles! Why? Because no more implicit memories were being stored when he had chicken pox and therefore the healing states were not stored doylicly. The chicken pox, rightly understood, can never recur, but its healing states, if stored doylicly, can recur later in life as shingles. At age 72, I have never had shingles and expect not to have them. Why? Because I loved school from an early age and began school at the age of 7 in the First Grade. Chicken pox was the only childhood disease where I was allowed outside during its course. I could see my Elementary School through the back fence of our yard, and I recall hanging on the fence looking at it, wishing I could be in school. This indicates to me that I likely had chicken pox above the Memory Transition Age and will never have shingles. Another childhood disease is Red Measles. I had that as a child, probably under age 5 as most children do. At age 35, I was living in New England and came down with Red Measles, something that is not supposed to happen a second time. I thought I had some flu perhaps and my local GP gave me some medicine, but I only got worse. My eyes were light-sensitive and I developed red spots on my chest. I went back to the GP and he sent me to an internist. The doctor examined and excused himself, and a few minutes later I saw him with his colleague looking up something in a large medical dictionary in the hallway — I became very worried. The doctor came back in and said, "Don't worry. It's rare to see a case of Red Measles in an adult, so my partner and I had to look it up to be sure. Go home, stay in dark room and you'll be fine in a few days." Naturally I called my mother to ask her if I had the Red Measles as a child, she raised 6 children and would know it was that kind of measles. She said, "Yes." If I had been aware of doyletics at the time, I would have asked her how old I was, if I were in school when they happened. I didn't ever find out, but I probably would have remembered if I had to stay in bed and not go to school, and I had a near perfect attendance record through school. What happened? Am I saying Red Measles can recur, in violation of medical expectations? No, what I think happened was that the healing states of Red Measles recurred by virtue of my having had them before the age of 5. Many problems were going on in my life, and that enforced week at home allowed me to observe them, so there was a good outcome from the appearance of those healing states. My wife would have a severe bout or two of bronchitis once a year, usually around the same time of year. One year, after working on the concept of healing states, I suggested that she do a Speed Trace on the bronchitis symptoms. She did, and when the symptoms went away at age 2, she saw herself under a white tent. Later she asked her mother if she ever had bad bronchitis and found out that at age 2, she had bronchial pneumonia and the doctor and nurse had to construct a temporary humidifier tent using a white sheet over her bed. Those healing states stored at age 2 would return around the anniversary of her serious bout and since that one trace, she has not had recurring problems with bronchitis again, the yearly bane has gone. One more story on healing states, as I think this is one aspect of doyletics which medical science can learn from. My first-born child, my daughter, was the first of my children to learn the Speed Trace, and one year in mid-January we dined together for her birthday dinner. She said her shoulders had been hurting her, and they seemed to do so every year around this time. Having discovered from my wife's annual bout with bronchitis that healing states can be periodic, I suggested that she do a Speed Trace on the pain in her shoulders. I heard back from her the next day that her shoulders were feeling better since the trace. We deduced that the pain in her shoulders occurred as she went through the birth canal and was stored as a doylic memory which came back each year around her birthday. Some 12 years later the pains have not returned. [page 59] It is now recognized that a child's brain functions much differently than does an adult's brain, but often the extent and nature of the differences between the adult's brain and the child's brain are not fully appreciated. Adequate appreciation should include recognition that children's brains absorb, perceive, process, and respond to experiences in ways that are different from the processing in adult's brains. Adequate appreciation of differences should also include understanding that much of the information held in the mature, adult brain was taken in and integrated when the brain was much less developed and, as a result, much of the information on which the adult brain relies for processing current experiences is immature in structure and activity. In summary, we have learned from this book that much of our adult experiences stems from events stored in our childhood as implicit or doylic memories and recapitulated in the present. In doyletics, we do not consider these recapitulated experiences as immature, but rather as the holding onto the only form of memory the brain could store at the time of the event, namely amygdaline storage of bodily states of all kinds, waiting for such time as we discover them to be inappropriate or unwanted as an adult, at which time we can trace and erase them, converting them in the process into explicit or cognitive memories in the upper cortical regions, turning them into declarative memories that we can discuss. In doyletics, we have a motto which answers the many questions we receive from new users, "Is this something, I can trace?" and that motto is: When in Doubt, Trace It Out! The only thing you have to lose is the unwanted doyles which are troubling you. Doing a Speed Trace is equivalent to asking your own body, "Is this a doyle?" If the answer is yes, it will go away; if not, it is not a doyle or the trace can be tried again later. Why use the Speed Trace instead of other some psychotherapy? The Speed Trace is not a psychotherapy, and if one feels they need a psychotherapist, they should find one. The Speed Trace is a memory technique which works on all kinds of bodily states, many of which one would never go to a psychotherapist to be rid of. I had one such bodily state since I was a two years old. Whenever I went to the beach and laid supine on the sand without an umbrella or roof over my head, I would feel as if I were beginning to fly off the Earth. It was irrational and I had learned to control it simply by keeping my eyes closed if I were on my back on the beach. Several years after learning to do the Speed Trace, I was on a beach with my wife, she was asleep on the blanket next to me, and I was on my back and looked up and felt the weird sensation of flying up. I immediately tested it for being a doyle by closing my eyes and it went away. I knew it was a doyle, an implicit memory, so I opened my eyes and with the proprioceptive sensations firing off which were so scary to me, I began the quickest Speed Trace I ever did and when I arrived at the age of 2, the sensations disappeared and have never returned in the ten or so years since. I asked myself, "What's a plausible thing could have happened to me at age 2?" and got a glimpse of me as a young boy of two being tossed face up into the air by my dad or uncle while at the beach. That was the explicit memory created by the Speed Trace when it converted the implicit memory of flying into air in a simple cognitive and declarative memory. Never would I have ever thought to mention this to a psychotherapist, but it was an irrational stored memory of my childhood which my brain held for me until I was able to convert it into a declarative memory. [page 126] Finally the slowness of change in procedural connections has the potential to result in the client giving up when change is not quickly forthcoming. Awareness of how declarative systems can influence procedural systems can offer encouragement and structure that support continuing participation in activities likely to lead to positive change in the long run. Thus, while establishing new connections between declarative memory processes and the old procedural memory is not likely to immediately eliminate maladaptive emotional responses or behaviors, engaging the declarative processing systems offers multiple ways to begin to effectively facilitate positive change. This is definitely a declarative mouthful and must make sense on some level, but what I know from personal experience is that many of the people who gave up after years of frustration and lack of success with such approaches have come to learn the Speed Trace and solved their problems by removing "maladaptive emotional responses and behaviors" on their own by doing Speed Traces. Footnote 1. The term doylic memory refers to what is labeled implicit memory by Folensbee and others. The term cognitive memory is the same as explicit memory. Footnote 2. Details on cascading doyles can be found in several places on the website by using any of the Google Search boxes on any Review or DIGESTWORLD page. Footnote 3. Read the experience of a woman who went through such an experience and was helped by a Speed Trace at http://www.doyletics.com/sandyth.htm . Footnote 4. Reported by Dr. Robert Sapolsky in his Lecture Course, Biology and Human Behavior, 2nd Edition, The Teaching Co.
Footnote 5. The other important implication is that doylic memories can be created above 5 years old, if and only if they occur during a traumatic event. This capability was postulated by Doyle Henderson's friend and associate Clovis, who reported suffering from doylic memories recurring after he was hit by a lightning bolt. Footnote 6. From page 42, "There is evidence that suggests it is reasonable to conceive of the affect system as an early, primitive form of information processing and memory that now works both independently and in conjunction with the newer hippocampal memory system (LeDoux 2002; MacLean, 1990). Footnote 7. The particular neurotransmitter appears to be noradrenaline, per page 43, ". . . when stress is chronic, or when the stress reactions becomes extreme, as in the case of trauma, the higher noradrenaline levels lead to reduced functioning in the hippcampus while facilitating processing with the amygdala." Footnote 8. Three years old is the age at which the brain reaches full-size, almost doubling in weight after birth. From then on, few neurons are created, but the interconnection of neurons begins apace, making possible the storage of cognitive memories in the cortical regions of the brain. Return to text directly before Footnote 8.